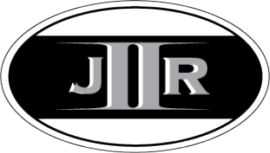 I find myself in more situations where I’m not completely satisfied with my DFIR tools. They either don’t parse certain information or lack capabilities I want. Batch scripting helped in some situations but the scripts are limited in what I can do. For example, it’s difficult (if not impossible) to create a script to extract information from an artifact that’s not supported by existing tools. Learning a programming language has been at the top of my to-do list for some time due to these reasons. I was browsing my local book store when I came across the book Perl Programming for the Absolute Beginner. I chose the book after I skimmed through a few other Perl programming books. Perl Programming for the Absolute Beginner is written for an audience without previous programming experience. The book goes into great detail explaining basic programming concepts such as variables, arrays, loops, and subroutines. I took a C++ course in my undergraduate about seven years ago and the only thing I remember is that I took a C++ course. Basically, I have zero programming knowledge including not knowing much about programming concepts. A lot of the books I skimmed, such as Learning Perl, don’t take the time to explain the basic concepts since they expect the reader to be already familiar with them. I wanted a book to explain the basics in addition to the language; Perl Programming for the Absolute Beginner fit the bill. Numerous books I looked at use exercises at the end of each chapter to reinforce the material covered. The exercises are pretty simple and perform one action such as a math calculation. 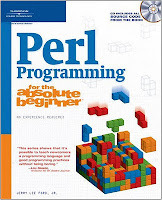 Perl Programming for the Absolute Beginner takes a different approach in teaching Perl. Instead of individual exercises the book has the reader write computer games which are fully functioning programs. I thought this approach does a better job showing how to use Perl since it covers the planning, organizing, coding, and testing activities involved with script development. Plus the approach was entertaining and it kept my interest. I’d rather write a “Fortune Teller Game” than a script to compute “the circumference of a circle”. ‘nuff said. My review is going to be a little different. I’m neither discussing the book’s contents (if you want to know then read the table of contents) nor how helpful the book could be. Instead I’m talking about what I learned from the book and how it has impacted my DFIR work so far. Bear with me for this analogy… When I was younger I used to love watching Kung-fu. At times I watched movies completely in another language without subtitles. I got the gist of what was going on by watching body language, facial expressions, tones of people’s voices, and the bad guys getting stomped. However, when I watched the same movie in English (subtitles or dubbed over) I realized how much I missed about the movie’s plot. Learning Perl is the equivalent of adding subtitles or dubbed English to a Kung-fu movie. Before I understood the gist of what my Perl tools were doing but it’s completely different when you can read and actually understand the code to see how it produces its output. It let me see behind the tool abstraction curtain. I was considering between learning Perl or Python since programs in my toolbox are written in those languages. One of my goals is to learn a language that lets me customize tools to better meet my needs. I picked Perl because two tools I extensively use are written in Perl and plug-in based. Plug-ins allow the tool to be extended fairly easily and I felt knowing how to write them would have a greater impact on my DFIR work. My immediate need was for a Regripper plug-in to parse the UserInfo registry key in an NTUSER.DAT hive (I could have asked others for this but I wanted to learn how to do it). In the past I manually examined the UserInfo key in the NTUSER.DAT hive and if present the hives in system restore points or volume shadow copies. Performing the task was time consuming but I needed to know the information. Perl Programming for the Absolute Beginner taught me enough about Perl to make it pretty easy to write a plug-in once I re-read the creating plug-ins section in Windows Registry Forensics. Taking the time to put the userinfo plug-in together will make things easier and faster for me in the future since I can now extract the information from a system in seconds. Talk about improving efficiency. I’m still wearing handcuffs since I’m still dependent on existing tools and scripts created by others. However, Perl Programming for the Absolute Beginner opened my eyes to a future where if I encounter an artifact not supported by my tools then I could just write my own. A future where I no longer have to be satisfied and accept tools’ outputs when I want to see data differently. A future where repetitive tasks can be automated enabling me to spend more time on analyzing information. The book opened my eyes to a world where I don’t have to be handcuffed to my DFIR tools and the capabilities they provide. Perl Programming for the Absolute Beginner did not make me into a tool developer but it provided me with a foundation to build upon. Not all is rosy with the book though. I normally can overlook typos but I’m not very forgiven when there are typos in the code the reader is suppose to copy. It’s bad enough that beginners are going to mess something up and spend time tracking down their own mistakes. There’s no need to add even more typos resulting in people questioning themselves wondering what else they did wrong. Chapter Four’s Star Wars Quiz declares a variable named $valid but the rest of the program uses the variable $isvalid (on page 129). That small typo makes the game not work until the variable $valid is changed to $isvalid. As a reader I shouldn’t be required to find typos in code in order to make things work. I spend enough time finding my own mistakes as it is. Overall I give Perl Programming for the Absolute Beginner a four star review (based on Amazon’s rating scheme). I highly recommend the book for anyone looking to learn the Perl programming language in addition to basic programming concepts. The book teaches the basics in an entertaining way enabling anyone to write simple scripts to solve issues. For those with programming backgrounds then I suggest looking elsewhere for a book on Perl since this is too basic. 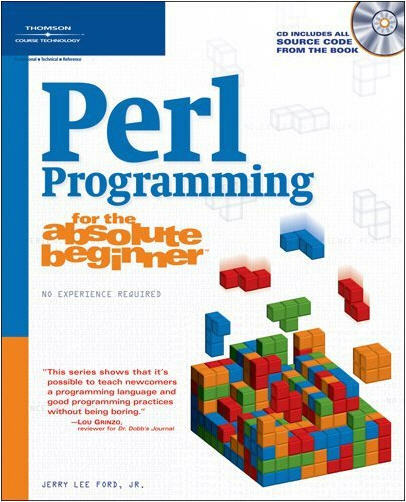 Learning Perl is a decent candidate because the target audience is for people familiar with programming concepts (I moved on to this book after reading Perl Programming for the Absolute Beginner). "I normally can overlook typos but I’m not very forgiven when there are typos in the code the reader is suppose to copy." I saw this blog over at Girl, Unallocated... and this works perfectly for me as I am trying to learn Perl too! (Yet another) book for me to buy... thanks!! Glad the review was helpful. This book was one of four that I bought to learn Perl initially. Now if I can get my daughter to keep reading it and not spoil the ending it will be worth it!.. Thanks for the tip on this one..
BTW.. Maybe in the future a Tutorial on your Development of the RegRipper Plugin OR something that will locate or filter or format an artifact for reading.. say from a Cell Phone SMS Message file or something.. THANKS! Thanks for stopping by and leaving a comment. I am still in the crawling stage with Perl so I don't have the skillz yet to write a program to parse an artifact. it's a good idea and I'll consider it for the near future. when I get to that point I might reach out to you for some ideas on what mobile artifacts to do. Harlan did a great job explaining Regripper plugin development in Windows Registry Forensics. I wouldn't have any to add except to tell people to read that section in his book.